Discussion in 'Community' started by coopdog, Dec 31, 2004. 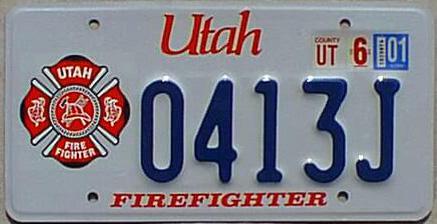 I was wondering what font the "Utah" on the Utah license plate is. Thanks! I've always wondered what font it is, I have never seen it before. i've got a similar question about the illini jerseys and their numbers .... if anyone can answer mine i'd be really happy. What the Font is a very cool tool, maybe that'll help. Or you can post a screenshot in the forums here. Stone Sans Bold (or Ultra if it exists)? If I was at work I could tell you straight away.